In my family it is absolutely no secret that I love potatoes. Mashed, fried, baked, steamed, or roasted. Seasoned, smothered in cheese, sour cream, chives, butter, or bacon. I adored them. I devour them. But these days I try to be little on the healthier side of what I eat. 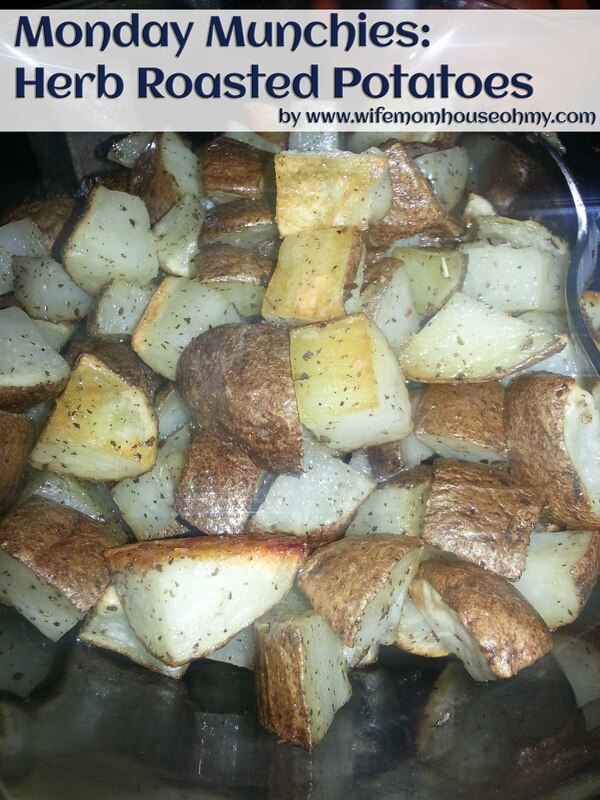 So when I can’t have seasoned curly fries, I opt for some old fashion and definitely yummy herb roasted potatoes. This is one of my favorite recipes and is unbelievably easy to make. 2. In a large mixing bowl, combine herbs, onion powder, sea salt, olive oil and diced and cubed potatoes until the potatoes are completely coated in herbs, seasoning and olive oil. 3. Spread the potatoes on a baking sheet so they are evenly spread out in one layer. 4. 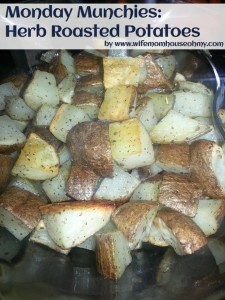 Bake potatoes in oven until they are crisp and golden brown on the outside and soft on the inside. It should take about 20 to 30 minutes. 5. Allow to cool slightly. Serve warm. They are great on their own but you can also serve them with Ranch dressing, sour cream or salsa.